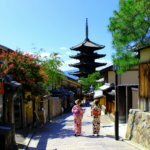 If you like cycling, place to visit in Japan! 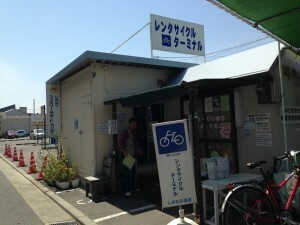 I cycled “Shimanami kaidō”（しまなみ海道）in a very sunny day in May! 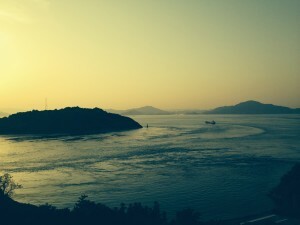 There are many beautiful and breathtaking sceneries along the way. I summarized the trip with photos 🙂 Showing how to get there and cycling tips! 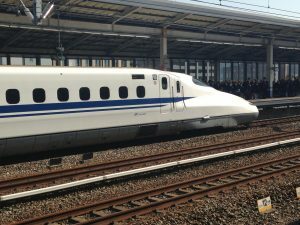 From Osaka or Tokyo area, take Shinkansen to Fukuyama（福山） station. 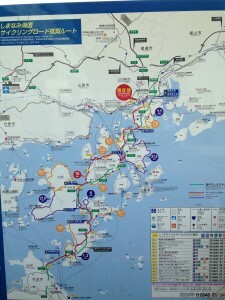 I took from Shin-Kobe to Shin-Onomichi station then took a bus to Onomichi（尾道）. 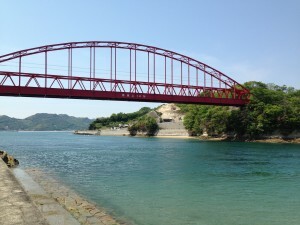 However, I recommend you to alight at Fukuyama and take local train to Onomichi. 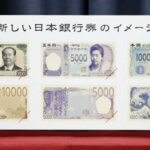 This way can save ¥. 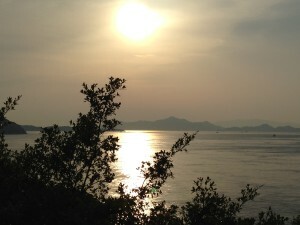 From Onomichi（尾道）station, walk towards sea side. 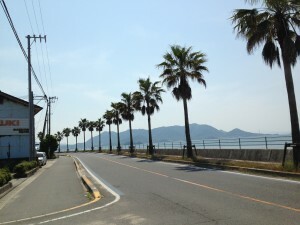 Facing to the sea, turn right and walk about 180M to get Rental cycle. 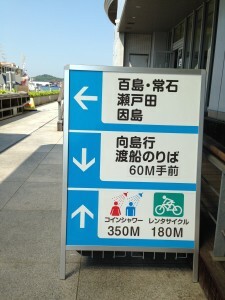 There are several cycling courses, I took for beginner course (in red). 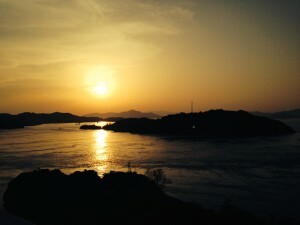 The road consists of 6 islands: 向島(Mukaishima), 因島(Innoshima), 生口島(Ikuchijima), 大三島(Ohmishima), 伯方島(Hakatajima) and 大島(Ohshima). 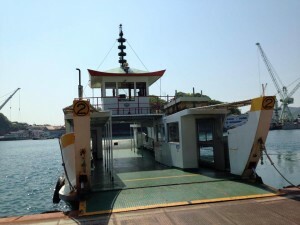 Took this jetty from Onomichi to Mukaishima. You can board with your bike 🙂 ¥110 for one way. 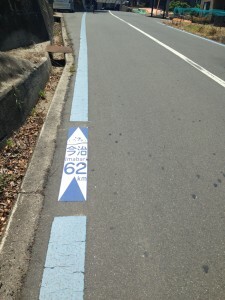 If you choose beginner’s cycling course, you just follow this blue line. 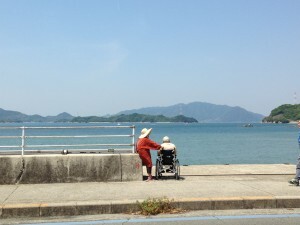 This line guides you till the final point, Imabari. It’s about 70km in total. 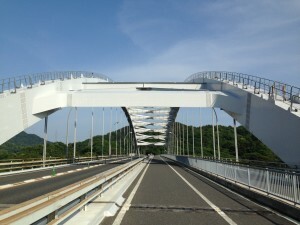 This bridge crossing to Innoshima from Mukaishima. 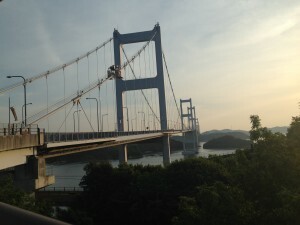 Every time before crossing the bridge, need to prepare for steep uphill 🙁 but you’ll be rewarded with marvelous views. 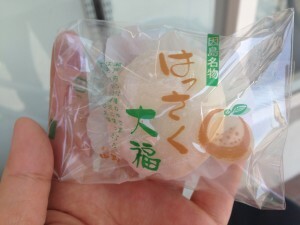 Grabbed a sweet 🙂 Hassaku (a kind of orange) Daifuku. 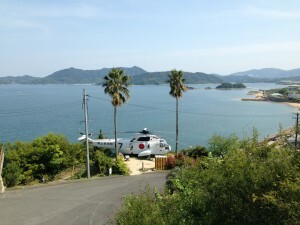 Now heading to the next island, Ikuchijima（生口島）. 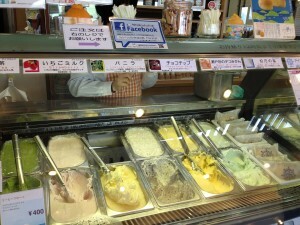 In Ikuchijima, you may want to drop at Italian gelato shop, Dolce. 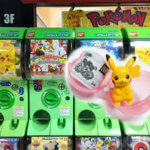 They have many variety of flavors. 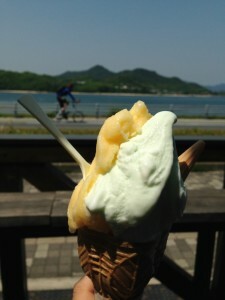 I had Dekopon (a kind of orange) and Hakata no shio (salt of Hakata island) vanilla. Yummy!!! 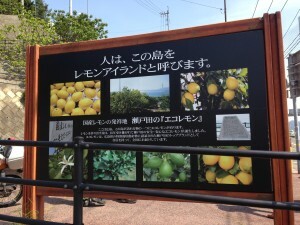 Ikuchi jima is called “Lemon island”. 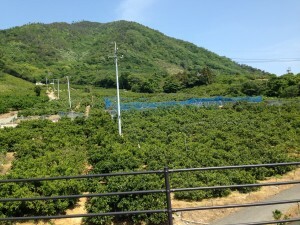 This Setouchi area is famous for production of citrus fruits. Again, steep hill. 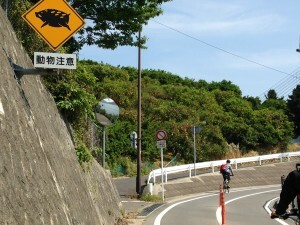 – -; The sign says “Beware of wild animals” with wild boar illustration. 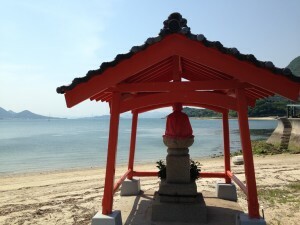 Rest area, called Michi no eki（道の駅）in Ohmishima, viewing Tatara-ōhsdhi. 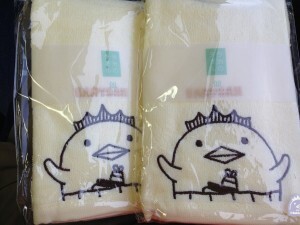 Sold @ rest area. 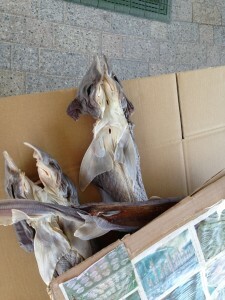 Are these dried sharks? 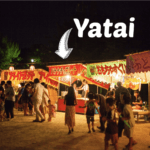 The Hakata-island is famous for production of salt. 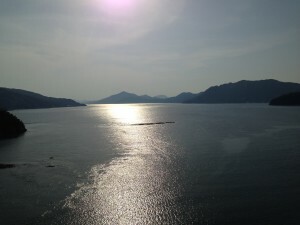 View from Hakata Islandn(伯方島) to Ohshima（大島）island. 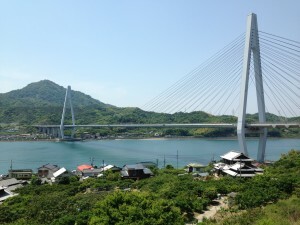 This is the last bridge in this trip, Kurushima-kaikyō-ōhashi . The steepest uphill is waiting. 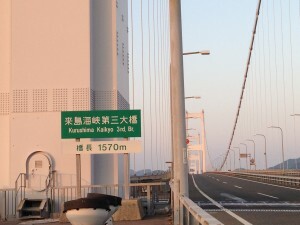 Verrrrrrrry long bridge, 4.2km in total. 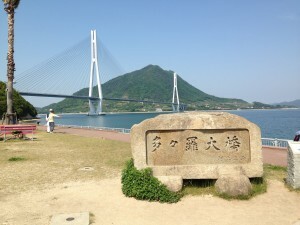 Before crossing the longest bridge in this trip, I had short break at small park. 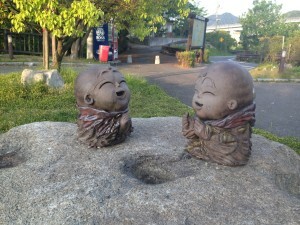 Spotted cute お地蔵さん Jizō (guardian) . 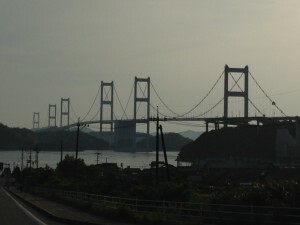 view from the bridge, Ohshima side. 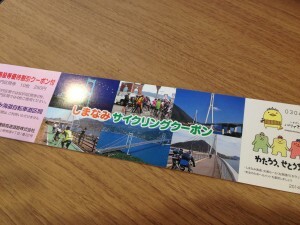 Information about the cycling road and bridges. Definitely a rewarding view for your hard work. 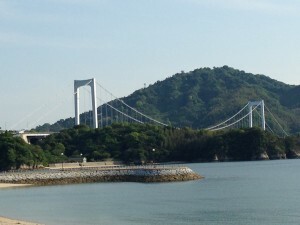 This long bridge consists of 3 parts. 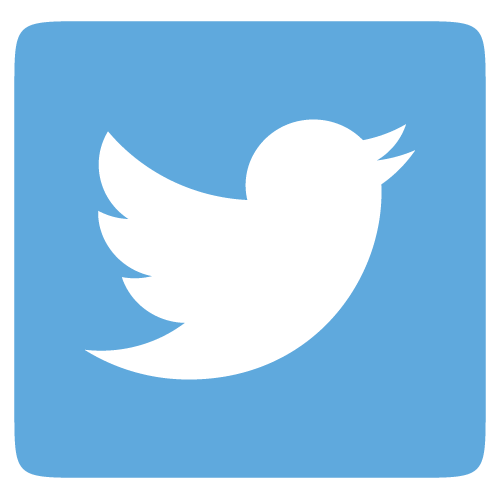 This is the last part. Finally I made the trip complete! 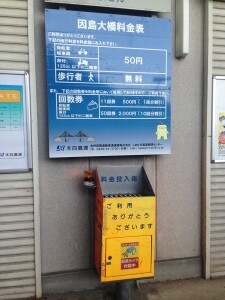 This is the final point, Imabari station (Ehime prefecture). I started this trip around 9:30am and finished 7:30pm. 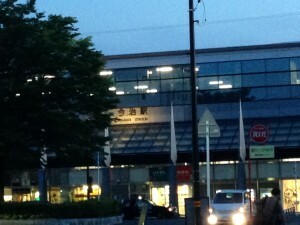 Oh my buttocks.. hurt.. – -: I stayed hotel near Imabari station in the night. I booked the bicycle for two days, but decided to give up the way back. No more bicycle for a while please! 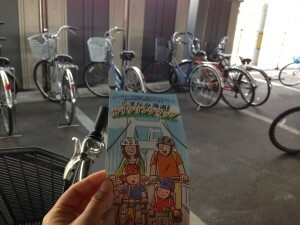 I dropped off the bicycle near Imabari station. so my deposit was forfeited. 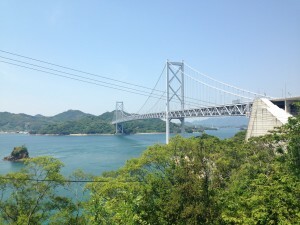 I took a highway bus going back to Kobe/Osaka. It’s about 5hrs ride but you can enjoy magnificent sceneries. It’s about ¥4000, and leave almost every hour. 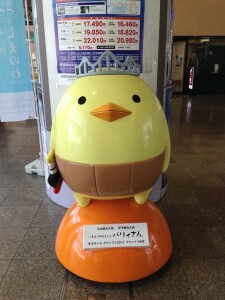 Imabari’s Yuru-kyara (relaxed mascot), Bari-san. 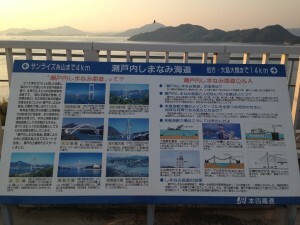 Imabari city is famous for towel and building ships. 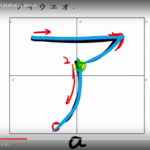 Let’s learn how to write Katakana!